SHE IS NOW THE NEW FACE OF CURVY KATE UNDERWEAR. 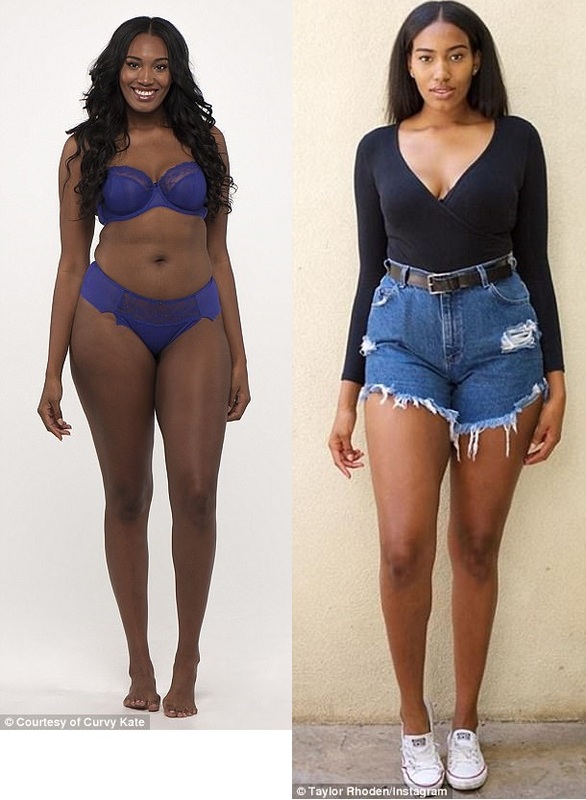 23-year-old Taylor Rhoden, a former student nurse from Los Angeles who was told she was 'too tall' and 'too curvy' to ever become a model in the fashion industry, has finally won a contract with a lingerie brand, Curvy Kate. Curvy Kate ran an open casting call to pick its next model, and Taylor, who gave up nursing and moved to LA to pursue her modeling dreams, qualified into the modeling competition, dubbed 'Star In A Bra'. I've been turned away from many agencies due to my height. I've always been told that I'm "too tall". Although I thought my height and look was beautiful and unique, I felt like the agencies never saw that,' Taylor said. At first, Taylor said she 'literally could not believe' she had won the competition. 'It felt so surreal because I've been working so hard at turning my modelling dreams into my reality for so long and finally everything was coming to fruition,' she said.